Happy Saturday everyone. I am sorry I haven't uploaded on schedule this week, I have been recovery from general anaesthetic and an injection into my hip which is a very painful experience, so I apologise for not uploading, but hopefully I will get things back up and running from Monday. ...I wore this a lot last weekend and will be wearing it tomorrow for Valentines day too, the Bourjois Rouge Edition Velvet in Plum Plum Baby. I know I mention this a lot, and it was in my 2015 faves, but it's an incredible product, I love the colour and the longevity of this is just fantastic. I love it. 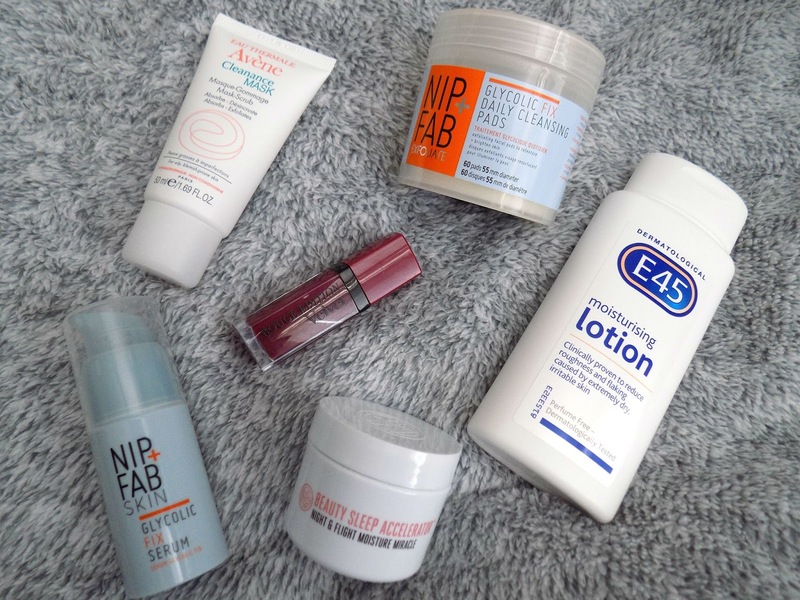 I have been trying out a few new skincare products this week, although my skin hasn't been in the greatest condition as it's had a freak out and I've been very stressed this week. First is the Nip + Fab Glycolic Fix Exfoliating Pads (£12.99) these are great quick and easy chemical exfoliating pads, formulated to smooth and brighten the skin whilst getting rid of any dead skin and exfoliate deeper down into the skin for an effective deep clean. 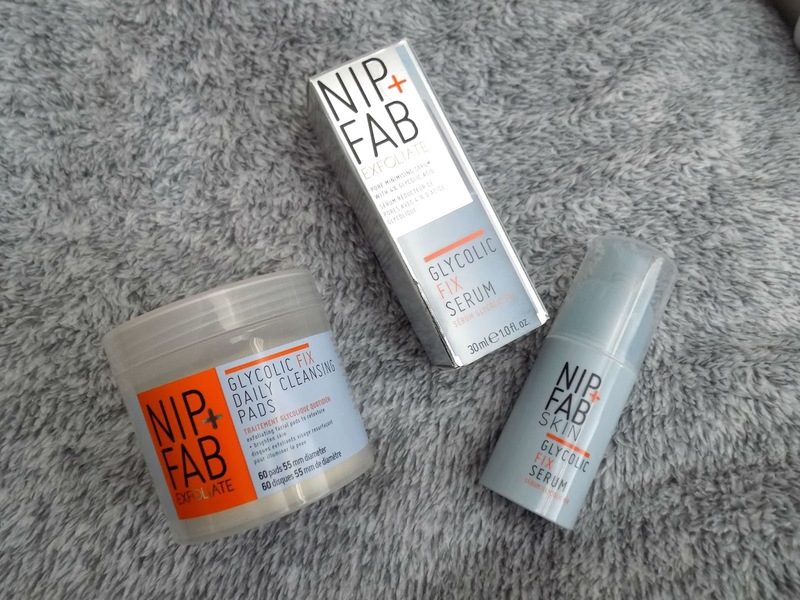 The Nip + Fab Fix Serum (£14.95) was also a product I have been trying out and this is very sticky so I don't find it works well under makeup, but in the evening, followed by the Kiehls Midnight Recovery Concentrate to add some much needed hydration with this freezing cold weather. This specifically says it's great for reducing the appearance and tightening pores which I am in desperate need of. It has 4% Glycolic Acid for exfoliating, and Aloe Vera for soothing and calming the skin. The price of this range isn't too expensive considering how well they work but I will keep you updated on how I get on with these products. There's some other products in the range which I will be picking up soon, so I hope to do a review on the entire Fix range in a month or so. The other new addition to my skincare is the Avene Cleanance Mask-Scrub (£15) I have been wanting to try this out for a while as this has a AHA and BHA blend to exfoliate deeper down into the skin to battle the root cause of breakouts and clear them up. It also has a manual exfoliation benefit too which you activate when the mask has been on your skin for 5-10 minutes. It's an all round great product for deep cleansing and I really have been loving this. At the beginning of the week I had some stress breakouts and they were basically just tiny little bumps on my chin and around my nose, and with one use this mask got rid of them and my skin felt so soft and smooth. 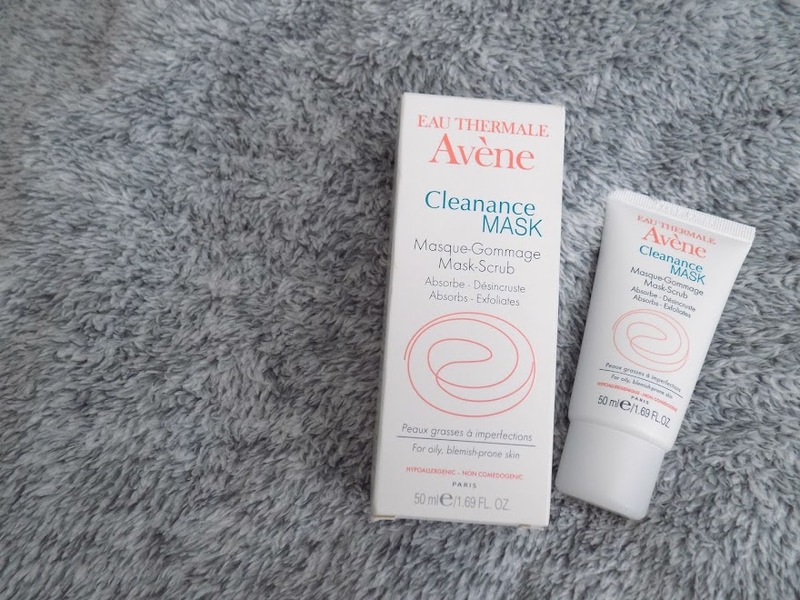 I will be doing a review once I have tried this out long enough but I am already a massive fan of Avene Skincare and this has proven to be just as amazing as my trusted blemish banisher - the Avene TriAcneal Expert. 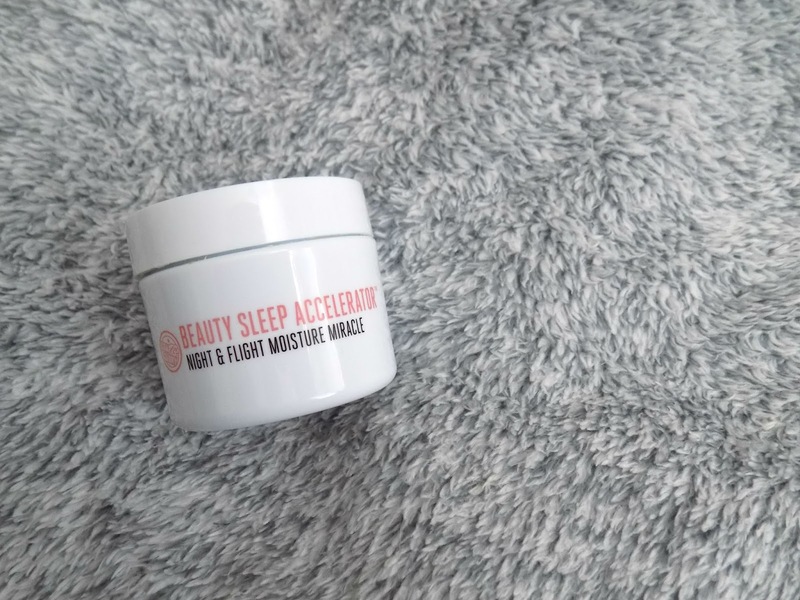 Because of the new products I have been using, I didn't want my skin to get too dry from the acids in them, so I have been slathering on the Soap & Glory Beauty Accelerator (Longest Name Ever) Moisturiser as this is the best and most hydrating moisturiser I have found. I love how soft and smooth my skin feels after using this and I really do love this stuff. For only £13.00 it's a great buy. 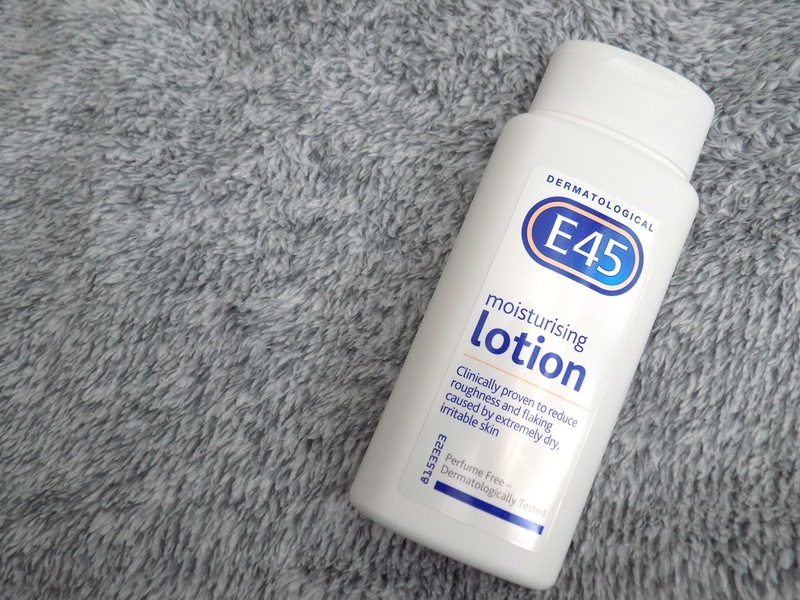 Finally for the favourite products is the E45 Moisturising Lotion, now this is a very basic moisturiser but my skin has been uber sensitive recently, especially to any scented lotions or body washes so this has really helped to bring down the irritation and itchy-ness and now I think this will be next to my bed at all times. I love it and I like that it's a thinner consistency than the cream so it absorbs faster. It's less than a fiver and it's a great, basic but effective moisturiser (however you can get other varieties from the E45 line, which are super hydrating, lightly fragranced etc. in case you prefer to have something that will still be sensitive enough for your skin but have a little extra moisture, or a light scent. I am so in love with the pieces that she created and I hope Lindsey does more art work on her YouTube and social media as I feel she would be a great inspiration to my own art work. Because I haven't really done much of anything this week, I found an anime show called Vampire Night and I have to say it's the best anime show I've seen so far. I love the characters, I love the I even drew the main girl character Yuki. 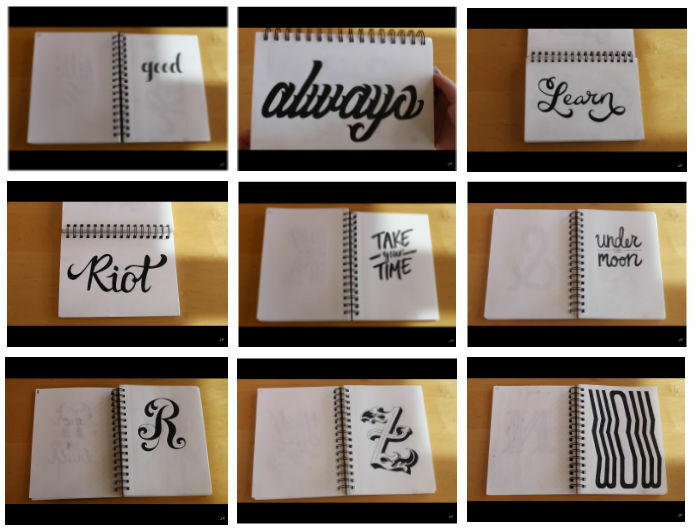 If you want to see then I can maybe do another peek into my sketchbook post? You can watch this on Netflix. That's it for this weeks weekly round up. Tomorrow I will have February's Glossybox which I hope you will all like to see as there's some cool products in it and I am pretty impressed with the products. What's your favourite product from this week? I recently got the nip fab pads but I haven't tried them yet, still finishing off some others. They sound great!